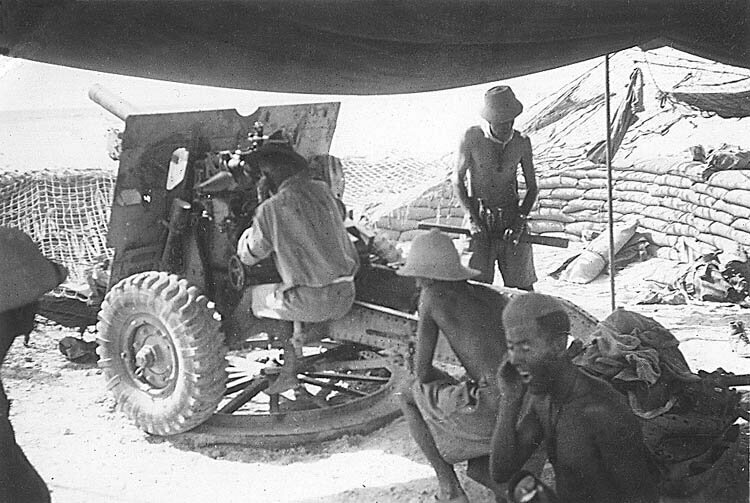 The LRDG toyed with the idea of artillery support in early 1941. This was the part of a grand scheme developed by Ralph Bagnold based on Wingate's Papers. He had envisioned a three phases in the development of the LRDG. The first is phase was the recon/intelligence outfit that was created and prospered in the Desert. The next phase was a beefed up force capable of large scale raids. The third phase was a combined arms force capable of launching full scale attacks on the enemy's rear. This would have included tank battalions and artillery batteries as well as motorized infantry. It would have been similar to what the Chindits in Burma. The amount of resources required for such a force were much too high and Wavell could not afford to chance such an unorthodox plan so what Bagnold ended up with was one tank and one artillery piece. Now it may seem that what Bagnold had asked for was unworkable and indeed it may have been in 1941. But by June, 1944, both the British and American were dropping entire airborne divisions behind enemy lines in order to accomplish similar missions. 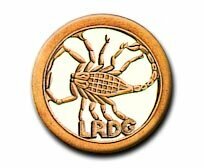 In any event, the LRDG Royal Artillery Section became a reality on 21 March 1941. The idea was to have some kind of artillery and/or tank support should the need arise. Due to shortages of available equipment the LRDG was allowed to experiment with only a single field gun and one light tank. Initially the field gun was to be a 4.5 inch howitzer but as this was being phased out, The Group instead received a 25 Pounder. There is confusion over what tank was used. According to many eyewitnesses, the tank was an M3 Stuart (Honey), However, this tank was not in theater until July, 1941. The light tank available in March 1941 was the Vickers Mk VIb or Mk VIc. 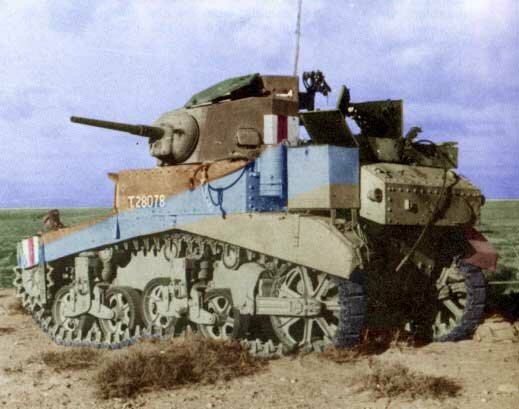 The SAS, however, did use a Stuart Tank on at least one mission in the desert. The RA unit was moved about in "portee" fashion. This involved winching the artillery piece and the tank onto the flat bed of a 10 ton truck. Some guns were fired from the portee position but it was not sound or realistic with a gun as large as the 25. Pounder. Weapons were rigged in "portee" in order make it easier to transport them in the soft sand. It was very difficult to tow artillery pieces over the desert areas traveled by the LRDG. Even when moved portee, it quickly became apparent that the weapons were too heavy when crossing the shifting sands of the desert. It also became evident that the equipment did not really assist the patrols with their main mission, reconnaissance. Combine these factors with the enormous manpower used for transporting and operating the equipment and you can see why the section was short-lived. The 25 Pounder was only used once while on a mission. This was during Operation Crusader. According to then Captain, Lloyd Owen, Patrol Commander Capt. John Olivey of the Rhodesian S1 Patrol used the 25 Pounder when attacking a small fort about 25 miles south west of Agedabia. Most of the Italian desert garrison fled into the desert and four of the enemy were captured along with the fort, once the patrol open fire with gun. There is no mention of the LRDG using a tank of any kind while on a mission. A likely candidate for the LRDG tank. 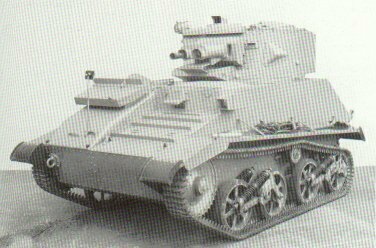 Armed with a Vickers 303 MG and a Besa 15mm Cannon and lightly armored, the Mk VI offered little protection for its crew and barely more firepower than a standard patrol vehicle. The tank NOT used by the LRDG. While the concept of artillery support (indirect fire support) was sound in theory, it was probably not sound in practice. The 25 pounder had a firing rate of five rounds per minute which was too slow if the patrol needed immediate suppressive fire to cover a withdrawal. Of course one of the wonderful attributes of the 25 pounder is that like the German 88, it was often employed as a direct fire weapon! This would have aided in hitting hard targets or heavy German armour. In the end the Artillery section was scrubbed.